See Mystic Seaport Museum from a different vantage point while enjoying our Waterfront Tour aboard the launch Liberty. 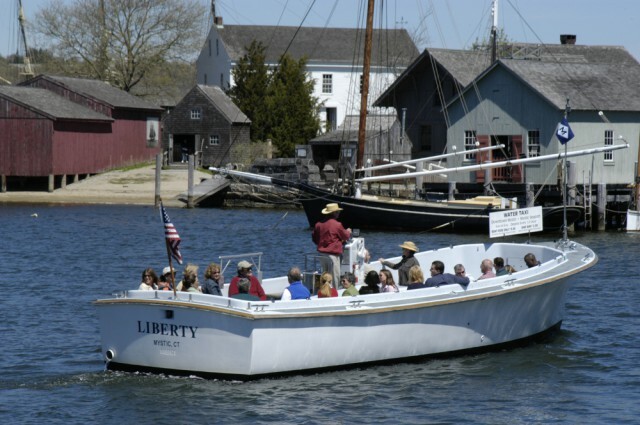 Boat rides are offered mid-May to Columbus Day. Tickets are $4 per passenger for ages 4 and older (children ages 3 and younger ride for free) and can be purchased at the ticket booth near the L.A. Dunton. May 11-October 14. First cruise 10:30 a.m., last 4 p.m.